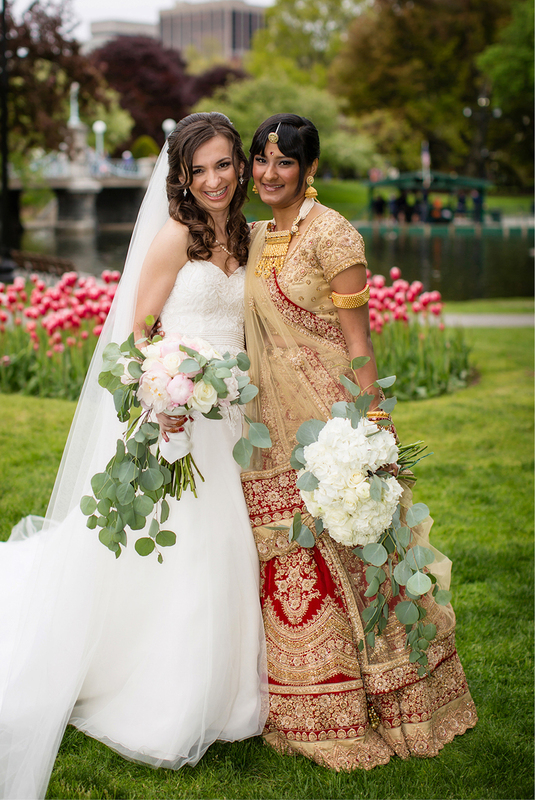 By Alyssa Giacobbe·	 1/2/2018, 5:03 a.m.
On their first date, Shikha Goel and Channah Rubin discovered they had much in common: Both loved reading, being near the water, and dessert—especially the cannolis they shared that night while strolling through the North End. 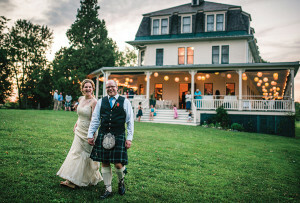 But when it came time to plan their wedding six years later, the couple decided to celebrate their differences instead. 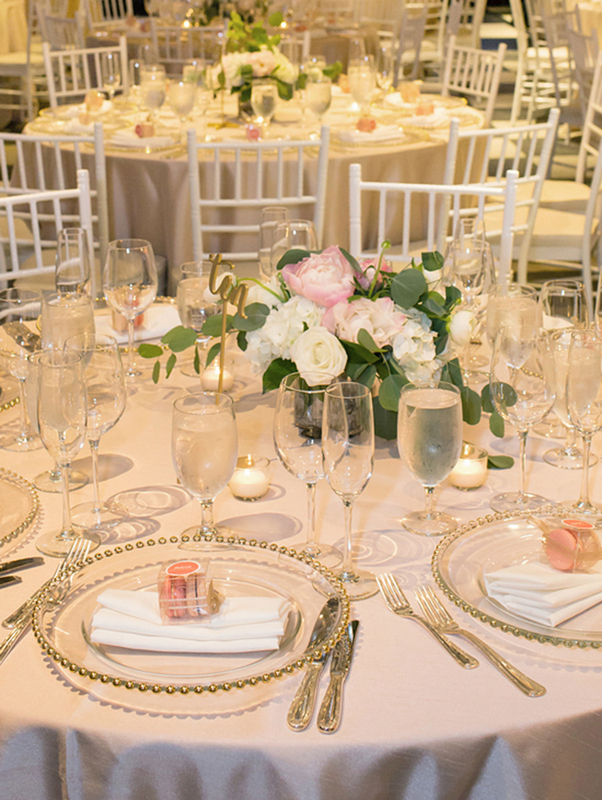 “We wanted the event to be a blend of our two cultures and religions,” Shikha explains. 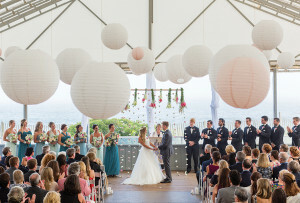 That meant searching for a chef well versed in both Indian and kosher cuisine, not to mention an interfaith officiant. 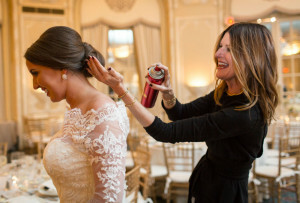 Thankfully, the Taj Boston was easily able to fuse the pair’s culinary traditions, and Rabbi Jillian Cameron was happy to accommodate their cultural ones. 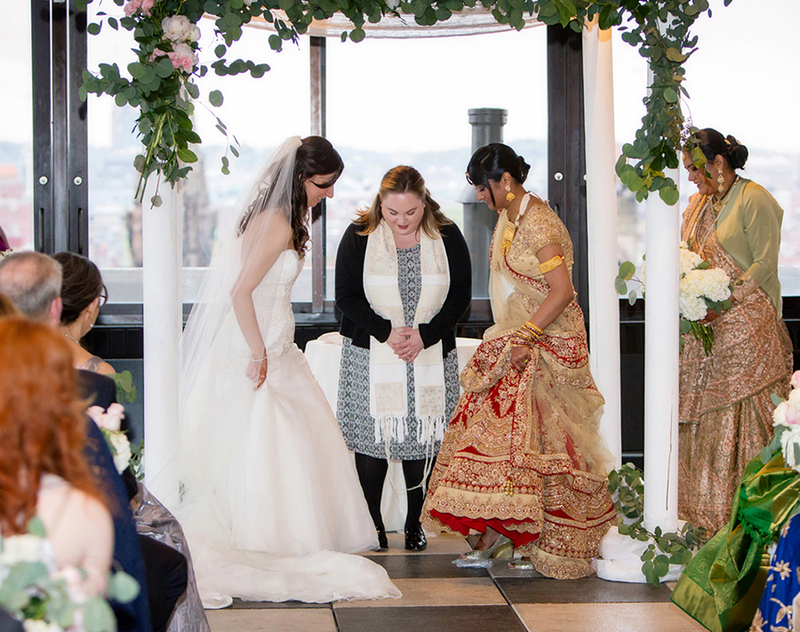 The Taj’s stunning roof deck was just, well, icing on the wedding cake. 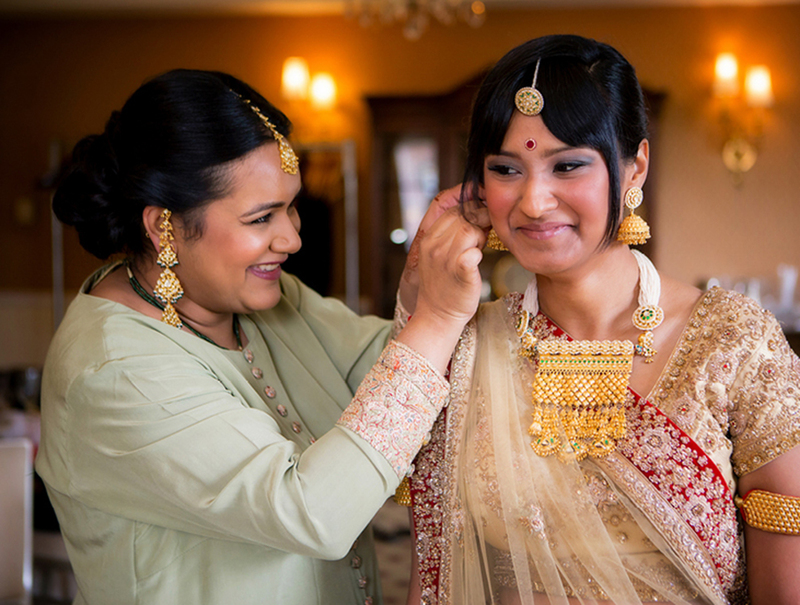 Shikha gets some help from her sister putting on earrings the family had custom-made in India. 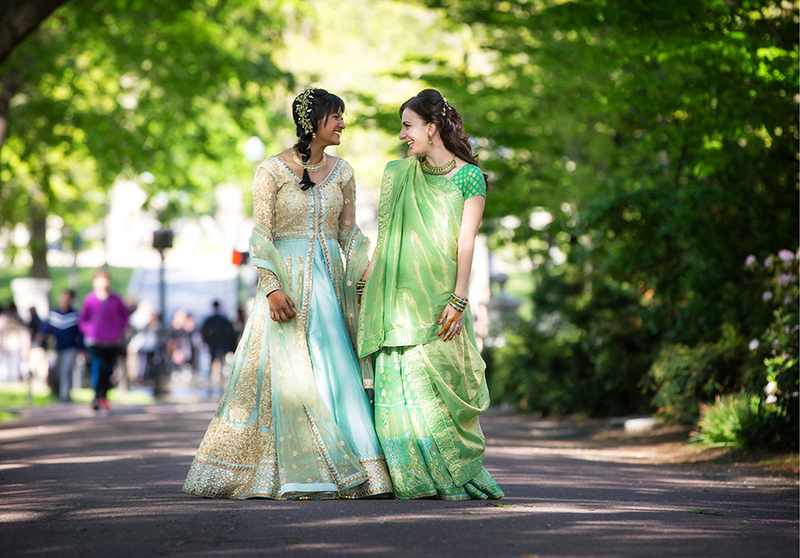 Both women wore lenghas for a cocktail party held the evening before at the Park Plaza. 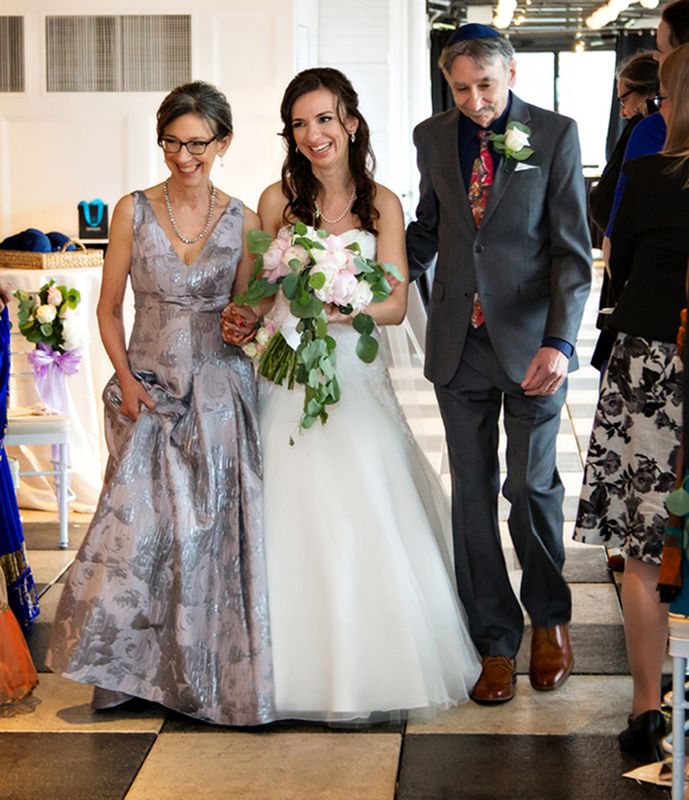 An only child, Channah wanted both her parents to walk her down the aisle. 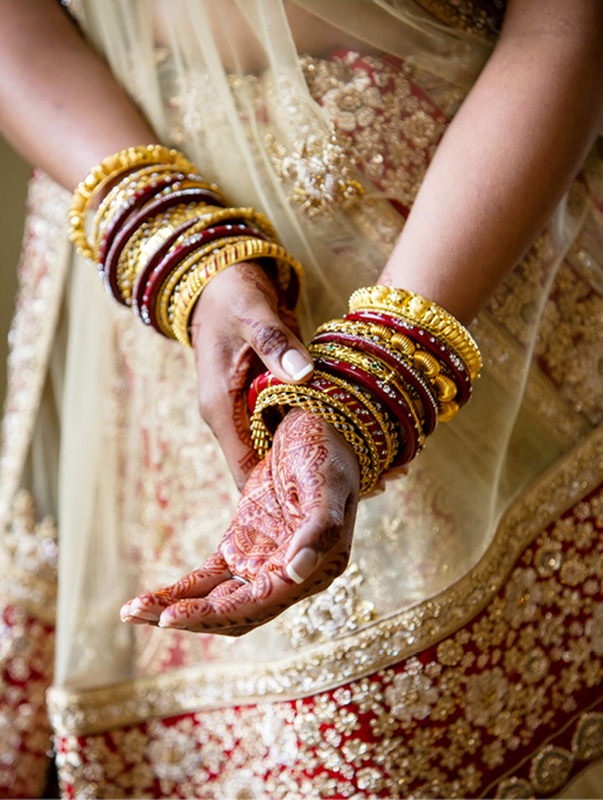 A friend of Shikha’s decorated guests’ hands with henna the night before the wedding. 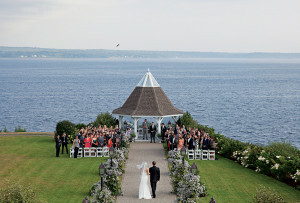 Created by one of Channah’s family friends, the centerpieces and bouquets showcased “organic, loose, wild-looking flowers,” Channah says, including hydrangeas, ranunculus, peonies, and eucalyptus.